– The HERO Journey of Cú Chulainn. Anthony’s talk featured photographs of megalithic and sacred sites of the Boyne Region and elsewhere: mythology, symbolism, alignments, astronomy and archaeology, including Newgrange, Knowth, Dowth, Fourknocks, Hill of Tara and Loughcrew. SPEAKER: Anthony MURPHY – Author & Photographer -Creator of mythicalireland.com – New Light on the Ancient past-An illustrated talk -Anthony’s books include: ‘NEWGRANGE: Monument to Immortality’, “The Cry of the Sebac“; and “The Island of the Setting Sun” by Anthony Murphy & Richard Moore. 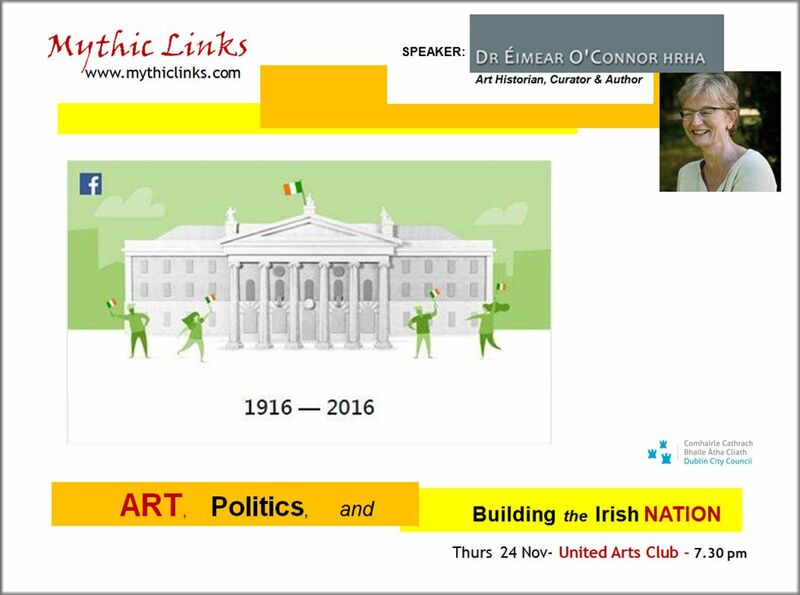 Email mythiclinks@gmail.com to join our mailing list if you are not already on it [or to unsubscribe ] Please LIKE Athena Ireland on Facebook for posts with more news and events! EMAIL mythiclinks@gmail.com to join our circulation list for events news and updates. Tags: 1916-2016, Ancestors, Archaeoastronomy, Arts, Cú Chulainn, Heritage, Irish Culture, landscape, Myth. Astonomy, Táin | Permalink.